Google has once again come under fire, for its monitoring of consumers’ location and activity, as well as Google’s search algorithms promoting offensive content. Many users of Google software are unaware that their voice searches are being recorded and logged online. Look up, My Activity, you will find voice recordings of every question you have ever asked your device (whether that is Google Home, your phone, or any other Google tech that allows voice queries) are stored on the server. If you’re so inclined, you can even listen back to the recordings under ‘Voice and Video Activity’. Google claims that the voice recordings are retained to improve the voice recognition software – so that it learns the user’s voice and style of speaking – and disabling the voice recording function removes it entirely from the device. Although web browsing offers the choice to search Incognito, there is no option to prevent voice requests being logged, except for disabling My Activity, which prevents any Google platforms, such as YouTube and Maps, from registering your voice searches. In its statement on the issue, Google reiterated that “Google only stores voice-based queries received after recognizing the hotword” and that “the data, including the query contents, are sent to Google servers for analyzing and storage in My Activity.” The natures of its analysis are vague, which is particularly concerning when many users are unaware of it being logged at all. This comes one month after a bug was discovered in some of Google’s Home Minis, prompting them to self-activate thousands of times a day and send the data they recorded to Google. Citing “phantom” touches of a long press that is meant to replace the voice command activation, Google rolled out a firmware update and disabled the touch function, as well as deleting any data obtained from the long press. Turning off ‘Location’ services has been a go-to operation for many users who enjoy the convenience of contemporary tech but don’t want to sacrifice their privacy. However, this month Google admitted that it has been able to track users’ locations, even with location services disabled and SIM cards removed. Regardless of any precautions users might take to ensure that their phones can’t transmit their location, Google has been able to triangulate the phone’s position since early 2007, using Cell ID. Android phones constantly send Google the addresses of the nearest cell towers, which gives a 400m minimum radius the phone could be in, becoming more accurate in urban areas where the towers are more concentrated. Whether for safety or privacy, users have always had the option to prevent their phone broadcasting their location – or so we thought. Google has since announced that the Cell ID data collected was “immediately discarded” after being used “to further improve the speed and performance of message delivery,” and that they were planning to pull the service by the end of November 2017. Google’s services may have crept into dangerous territory with its privacy policies, but its search algorithms are also causing consternation. Offensive results are being churned out by the search engine, with both autocomplete suggestions and recommended links running inappropriate content. Last year, Google chose to alter some – but not all – its autocomplete suggestions, after a number of hateful suggestions were recorded, including “Are women evil” with a snippet of text that claims “all women have a little prostitute in them” and “women feel attraction, but they cannot love men.” The majority of web pages that Google chose to display to answer that question were unequivocal in confirming that, yes, women are abhorrent. However, this relies on a user discovering the offensive snippet, rather than making efforts to improve the processes behind it. 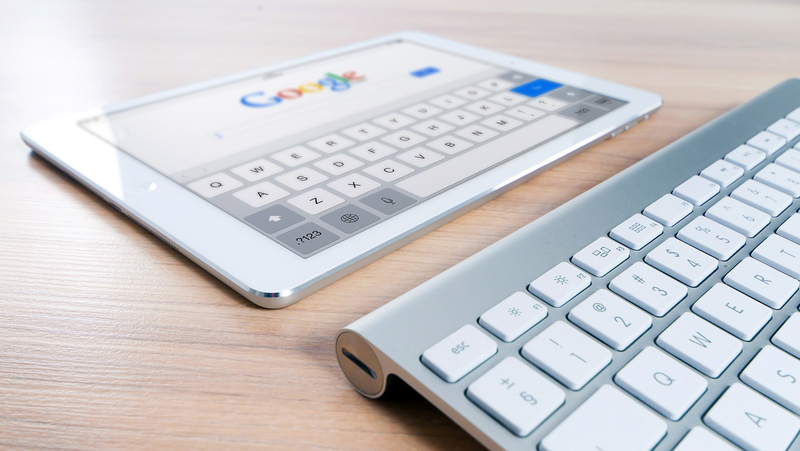 Google has become synonymous with search engines, so much so that it is its own verb: to Google is to find an answer online, and 94% of teachers say that their students equate research with using Google. If the results it brings up are inaccurate, or, worse, flagrantly hateful and bigoted, these are more easily accepted as truths, particularly by younger, more vulnerable and already biased web users.